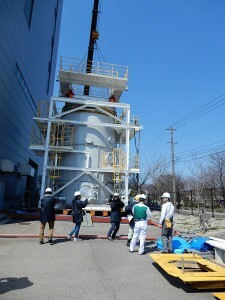 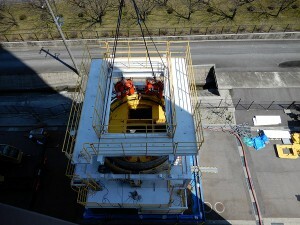 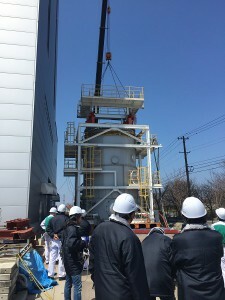 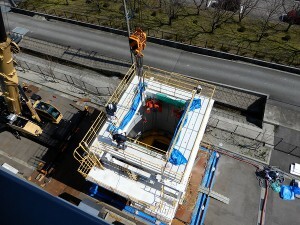 As part of its R&D efforts for the decommissioning of the Fukushima Daiichi Nuclear Power Station (NPS), the IRID (development by Hitachi GE Nuclear Energy) is involved in developing fundamental technologies for the retrieval and removal of fuel debris and internal reactor structures, and subsidizing costs for the Decommissioning and Contaminated Water Management Project. As one of these fuel debris retrieval methods, we would like to introduce the “R&D status of the Reactor Pressure Vessel (hereinafter called RPV) 1/1 scale model testing,” a remote operation technology for fuel debris retrieval. 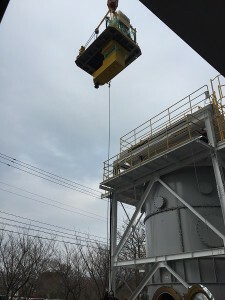 ・Verification tests for the prevention of radioactive material dispersion while installing common devices*1、and individual devices*2 at the RPV is being conducted. 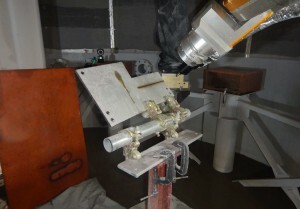 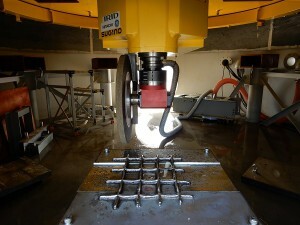 ・Assuming fuel debris cutting, cutting tests of simulated fuel debris that has been flattened after grinding convex surface portions with a grinder are being conducted. 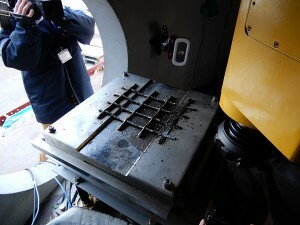 *2 Individual device: A box with built-in processing machines for fuel debris cutting, gripping, and collecting. 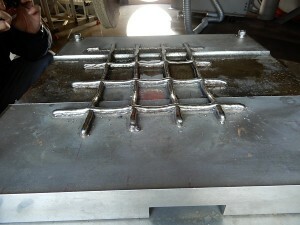 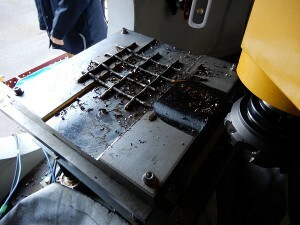 During fuel debris retrieval, the operation of various devices becomes possible by replacing the said individual devices. 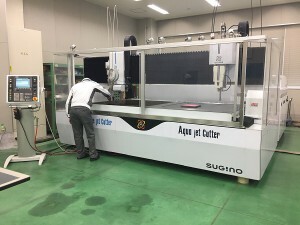 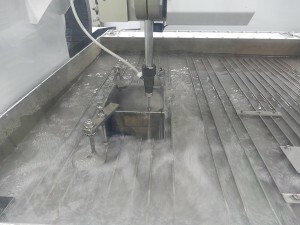 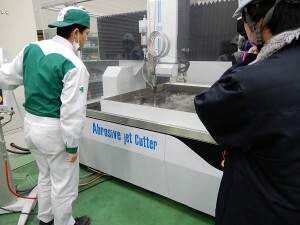 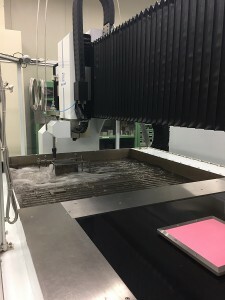 Additionally, as part of in-house joint research with Hitachi GE Nuclear Energy and Sugino Machine, R&D related to cutting technology using an Abrasive Water Jet (hereinafter called AWJ) and a laser is being conducted, assuming the cutting of internal reactor structures.